The National Gallery of Victoria invites design proposals from registered architects within Australia to participate in the 2017 NGV Architecture Commission Design Competition. 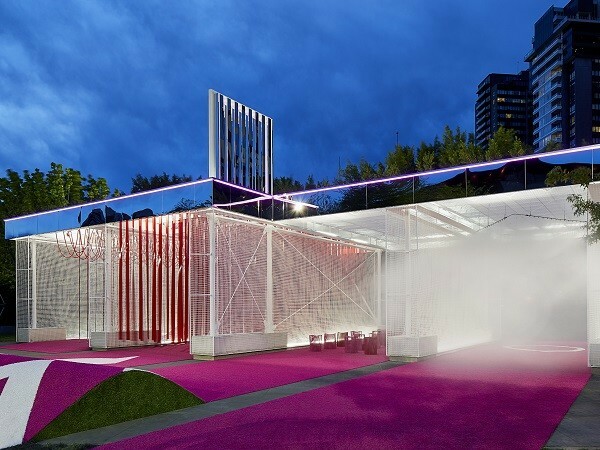 For the 2017 competition, the NGV Architecture Commission calls for innovative proposals for the activation of one of Melbourne’s great civic spaces, the Grollo Equiset Garden through a participatory, evocative and thought-provoking work of site-specific, temporary architecture. The Competition will be held in two stages with an anonymous Stage One calling for high level design proposals, from which up to five proposals will proceed to a paid Stage Two. These five shortlisted submissions will be further developed and refined in Stage Two for presentation to the competition jury. The winner will be commissioned by the NGV to complete the design, development and delivery of the 2017 NGV Architecture Commission. This year’s competition encourages competitors to explore and reveal progressive thinking and approaches to activation and audience engagement; materials and systems; manufacturing and fabrication; technology; sustainability; and cultural resonance. While all teams must be led by an architect registered in Australia, competitors are encouraged to collaborate with other cultural, creative and industry professionals, both within Australia and beyond. Led by the Department of Contemporary Design and Architecture, the NGV Architecture Commission has previously been designed by John Wardle Architects (2015) and M STUDIO Architects (2016). The 2017 NGV Architecture Commission Jury consists of Jill Garner, Government Architect (Chair); Corbett Lyon, Architect and National Gallery of Victoria Trustee; Ewan McEoin, Curator of Contemporary Design and Architecture, National Gallery of Victoria; Amy Muir, Architect and AIA Victorian Chapter Councillor; Naomi Stead, Academic, scholar and critic; and SueAnne Ware, Educator, academic and critic.